Mexico have a chance for revenge when the same countries meeting again in Mendoza on Tuesday. Juventus forward Paulo Dybala shone as Argentina comfortably beat Mexico in a friendly on Friday despite the absence of Lionel Messi and Sergio Aguero. In cruising to a 2-0 victory in Cordoba, Argentina showed more signs of a newfound unity under interim coach Lionel Scaloni as they rebuild following a fraught World Cup in Russia. “We’re on the right path,” Scaloni said after his side secured their third victory in five games under his command as they eye next year’s Copa America in Brazil. 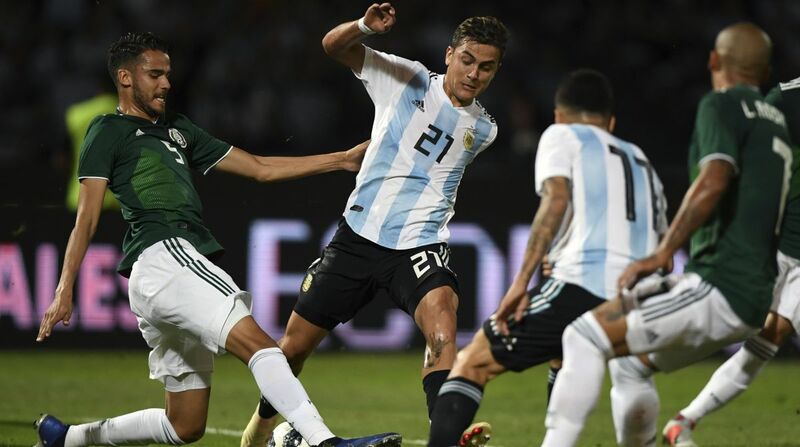 Mexico could have opened the scoring when Raul Gimenez’s header hit the crossbar early in the game, but Argentina went ahead when Dybala’s free kick was headed in by Mexican defender Ramiro Funes Mori moments before half-time. Loudly applauded by the home fans, Dybala supplied the creative spark throughout and could have doubled the score but his second-half lob narrowly missed the target. Argentina’s second goal came when Mexican defender Isaac Brizuela put into his own net under pressure from substitute Mauro Icardi.